The latest vintage of Taittinger’s Comtes de Champagne has continued the brand’s recent run of strong sales. Merchants have reported that the 2005 vintage has been snapped up by buyers with some enthusiasm – even though the 2005 stands outside the normal pantheon of “great” recent Champagne vintages of which 2002, 2004 and 2006 are normally included. Speaking to the drinks business, Matthew Tipping, fine wine sales manager at Berry Bros & Rudd, said that the response had defied some initial reservations. He added that there was a “general trend” in the market at the moment for top cuvées. “2002 really kick started interest and opened people’s eyes to the quality (of grand cuvées),” he said. 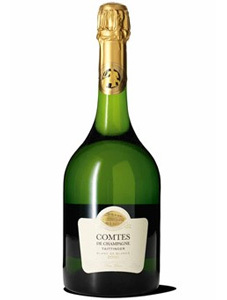 With six bottles costing around £410 on average, Comtes has always been one of the most affordable of the grand cuvées. “It’s always been a bit of an insider’s tip and a pretty shrewd buy,” Will Hargrove, associate director at Corney & Barrow, told db. For Gareth Birchley, buyer at Bordeaux Index which has completely sold out its allocation, the success of the release is yet further proof of the value in the top Champagne brands. “Top cuvées provide so much value compared to Bordeaux and Burgundy at the top end and Comte is still one of the best value top cuvées in the market,” he told db. “They provide so much value – perhaps not at the bottom end. You wouldn’t compare non-vintage Champagne against a qualitative peer from Australia. In August of last year when the 2002 was released it quickly stormed the charts with trades in Comtes on Liv-ex rising from 11 in 2011 to 351 in 2012. A six-pack of the 2002 cost around £360 on Liv-ex when first released, today it has effectively doubled to £690-£700 a case.